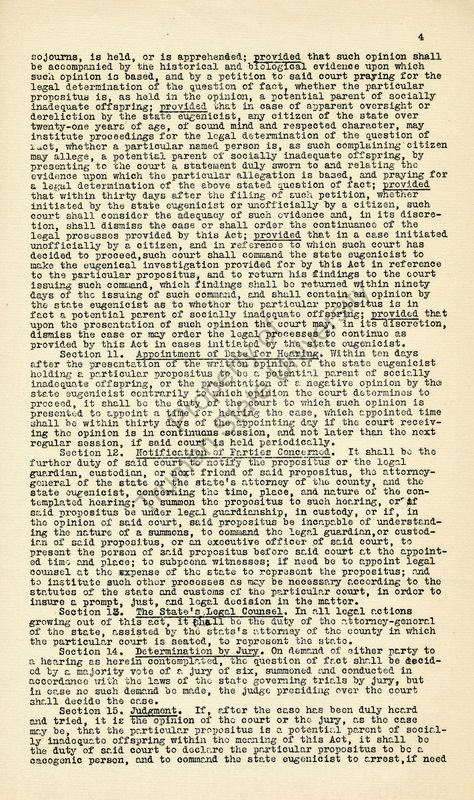 In 1907, Indiana enacted the first eugenical sterilization law in the U.S., although it was overturned in the Indiana Supreme Court in 1921. 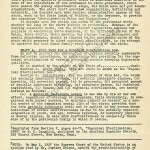 However, the Virginia sterilization law was found constitutional by the U.S. Supreme Court in the landmark case Buck v. Bell (1927), as it included articles guaranteeing due process. 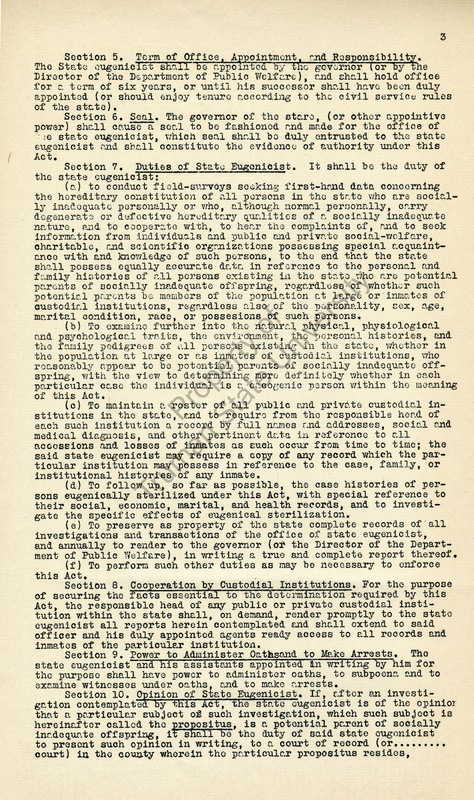 After noting the low numbers of sterilized people resulting from many early sterilization laws–including that of Indiana–in 1914, Harry Laughlin decided to draft a “model” eugenical sterilization law. 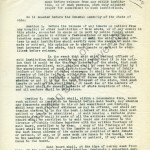 This law provided a template for states planning to introduce eugenical sterilization of the “unfit,” a social category encompassing all those who relied on state assistance for their continued survival. 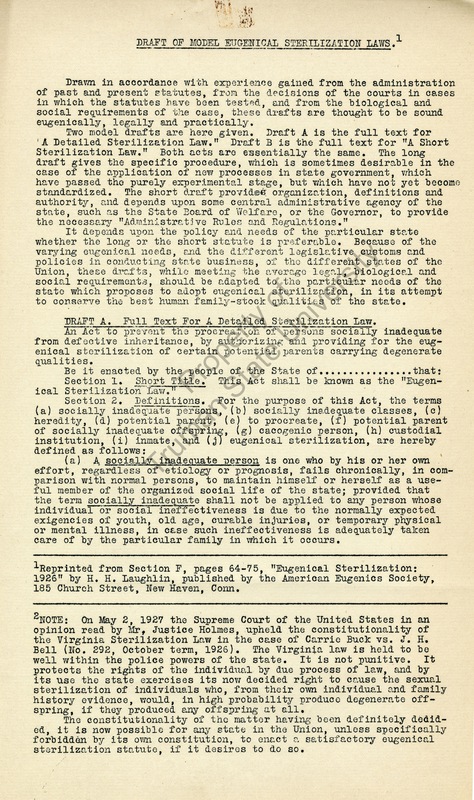 Before the “model” sterilization law was drafted, only twelve states had passed sterilization laws. 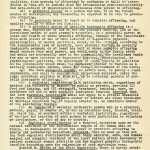 By 1940, thirty of the then forty-eight states of the Union had enacted eugenical sterilization laws. 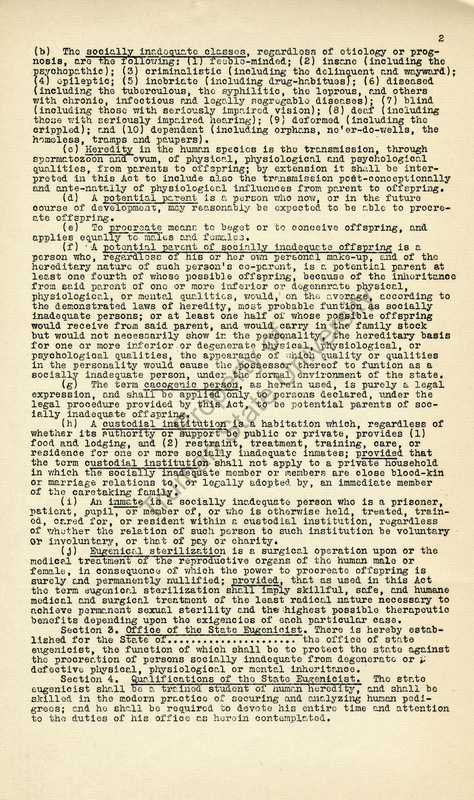 In 1933, the Reichstag of Nazi Germany used Laughlin’s law as a template for the passage of the Law for the Prevention of Hereditarily Diseased Offspring. 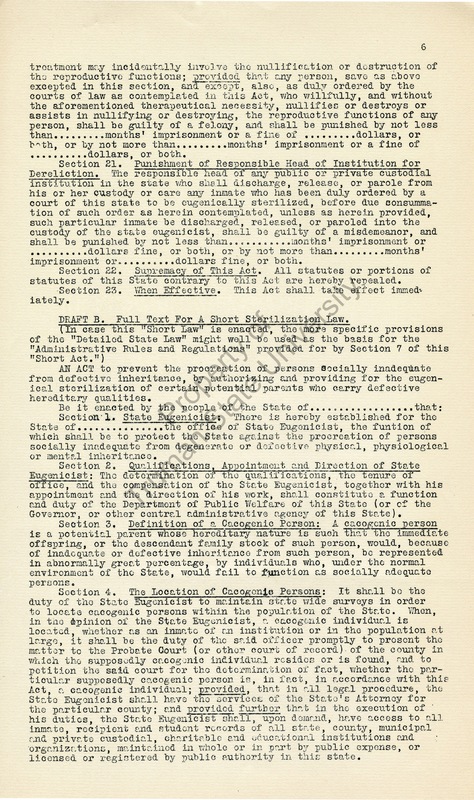 The “model” sterilization law showed Harry Laughlin’s opinion on the proper and constitutional composition of compulsory sterilization laws. 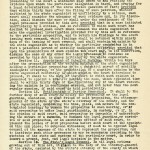 He detailed the categories of people he deemed the “socially inadequate classes,” starting with the feeble-minded and insane and ending with the “dependent (including orphans, ne’er-do-wells, the homeless, tramps, and paupers).” He then described the office and duties of the state eugenicist, and classified the difference between unconstitutional sterilization and constitutional eugenical sterilization, focusing on the issue of due process. 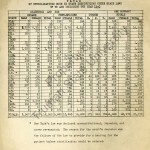 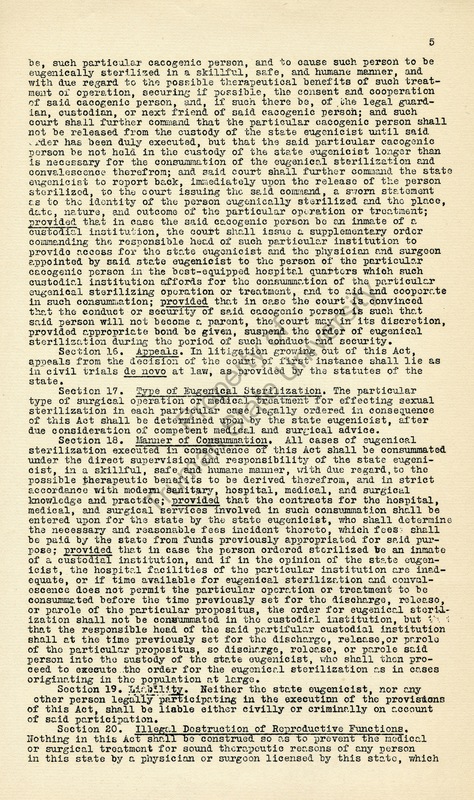 The “model” eugenical sterilization law showed the impact of the Buck v. Bell case and previous overturned eugenical sterilization laws on the development of compulsory sterilization in the United States. 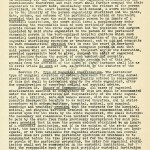 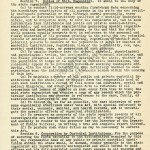 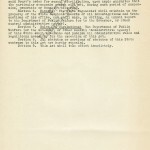 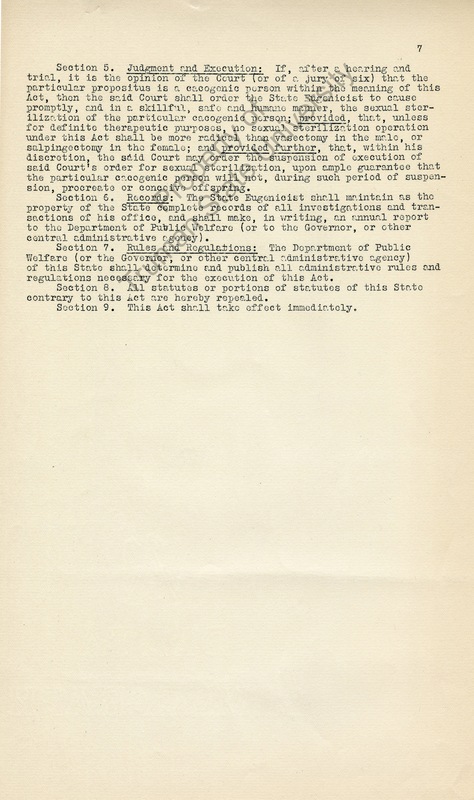 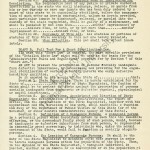 Image Source: Harry H. Laughlin, Draft of Model Eugenical Sterilization Laws, Harry H. Laughlin Papers, E-2-3:6, Pickler Library, Truman State University, Kirksville, Missouri.